Daytime classes with a special summer rate for new students! When: Tuesdays and Thursdays, June 1-July 27, noon-12:45 p.m. each day. Only $99 for new students. Hurry, space is limited! Want to try it with no cost or obligation? Click here for our FREE trial! Learn to use awesome martial arts weapons! Hurry, space is VERY limited! Interested in our traditional classes? Click here for our FREE trial! A special camp for ages 4-6! 4 hours of intensive taekwondo training! Open to both new and current students, ages 6+. LADIES: Learn to defend yourself for Domestic Violence Awareness Month! Empower yourself by breaking a board (optional)! Olney Taekwondo Center, in partnership with SWAN (Stop Woman Abuse Now, Inc.), is offering a women’s self-defense class on Saturday, Oct. 29, noon-1:30 pm, in honor of Domestic Violence Awareness Month. Open to ages 14 and above. Hurry, this seminar is limited to 20 participants! A portion of the proceeds go to support SWAN. Want to experience the benefits of Taekwondo? Click here for your FREE trial. FREE CLASSES, FREE FOOD, SPECIAL OFFERS! Come in and experience the benefits of traditional taekwondo training, and take advantage of one-day only sales! FREE taekwondo classes will be offered at 11:00, noon, and 1:00. Appointments are strongly recommended. For more info or to make an appointment, contact us to get started! Can’t make it? Sign-up for our FREE trial here. 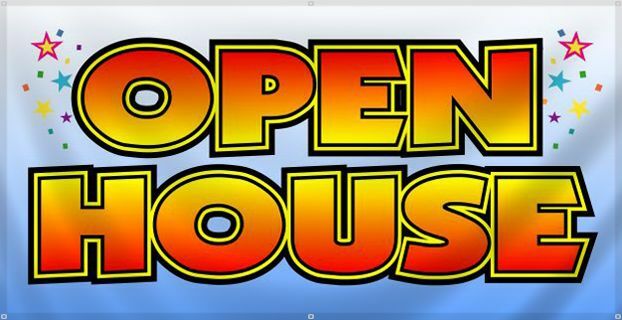 Saturday, January 30, 2:30 to 4 p.m.
Come in and experience the benefits of traditional taekwondo training, and take advantage of one-day only sales! FREE taekwondo classes will be offered throughout the day. Appointments are strongly recommended. Complete an entire testing cycle and test for your next belt in a week. Open to both new and current students. 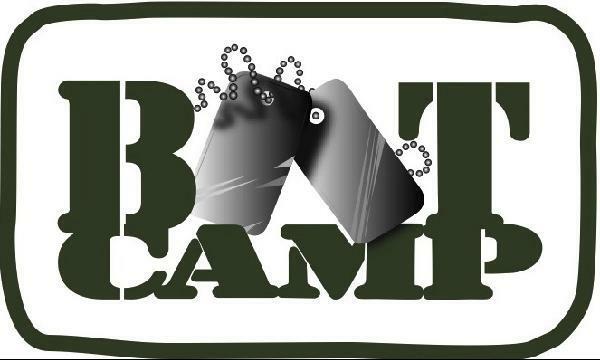 Students may test for any colored belt rank at this camp. LADIES: Learn to defend yourself while having a blast and getting a great workout! 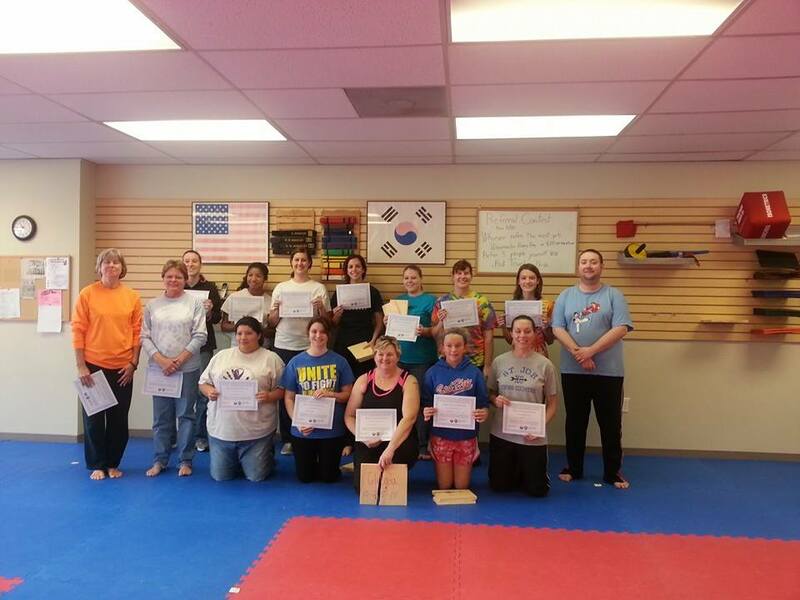 Olney Taekwondo Center is offering an 8-week women’s self-defense course for ages 14+ beginning January 30. This intensive course will cover simple, effective self-defense techniques in a fun, safe environment. Classes meet weekly on Friday evenings at 6:30 through March 20. All fitness levels welcome. Cost is $89. Hurry, this exciting course is limited to 15 participants! 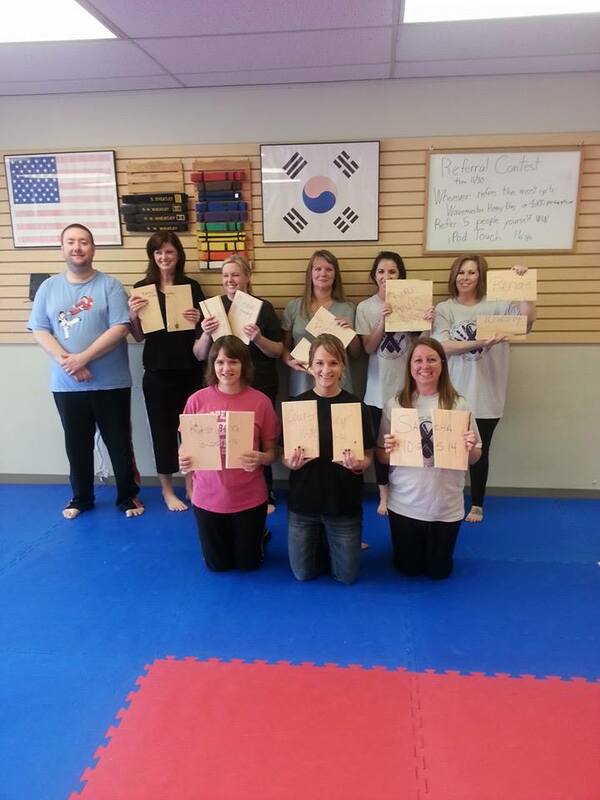 Olney Taekwondo Center (OTC), 233 E. Main St. across from Arcadia Cinemas, and SWAN (Stop Woman Abuse Now), Inc. hosted two women’s self-defense classes Oct. 25 in recognition of Domestic Violence Awareness Month. The classes attracted 22 participants. Proceeds went to support SWAN, with over $200 raised. Participants learned techniques that are easy-to-learn, yet highly effective. 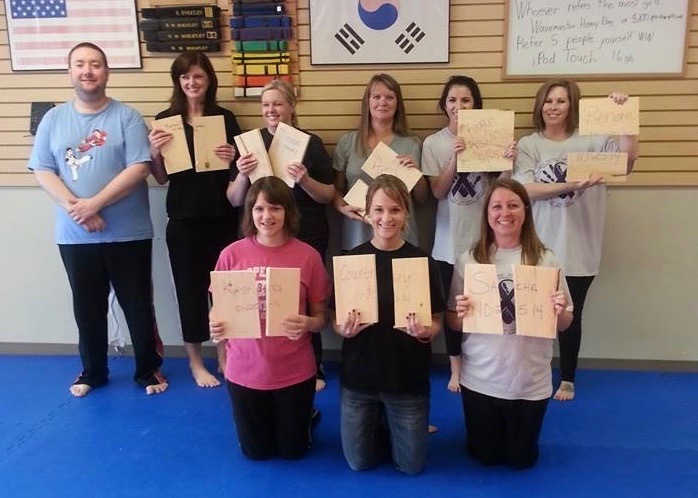 They also had the option to learn to break a board at the end of the class. 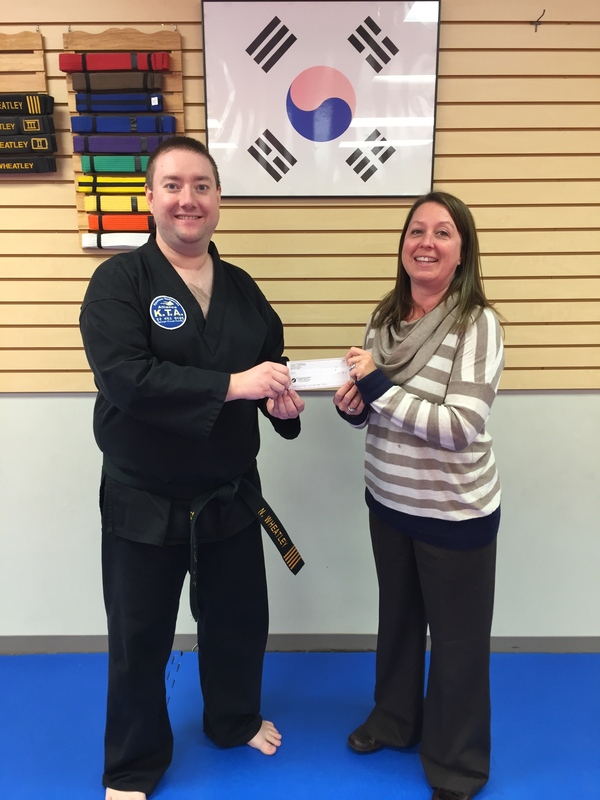 Master Nathan Wheatley, OTC chief instructor and 5th degree black belt, taught both classes. 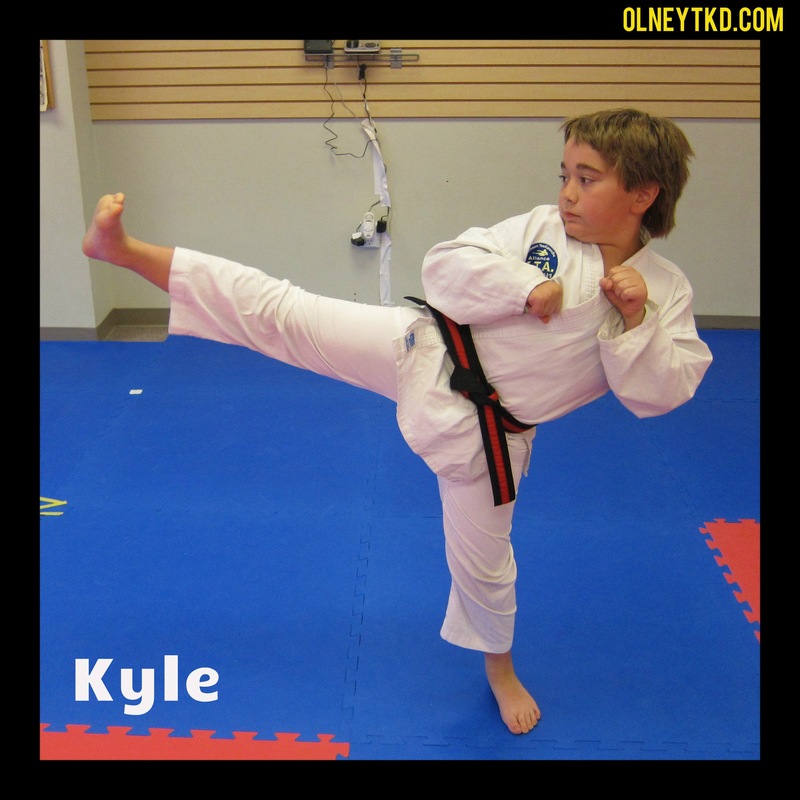 Wheatley has over 23 years martial arts experience including training in taekwondo, hapkido, Brazilian jiu-jitsu, kali and mixed martial arts. In addition, OTC will offer an expanded, 8-week women’s self-defense course beginning in January. Those interested may contact the school the register at 392-3800 or http://OlneyTKD.com. 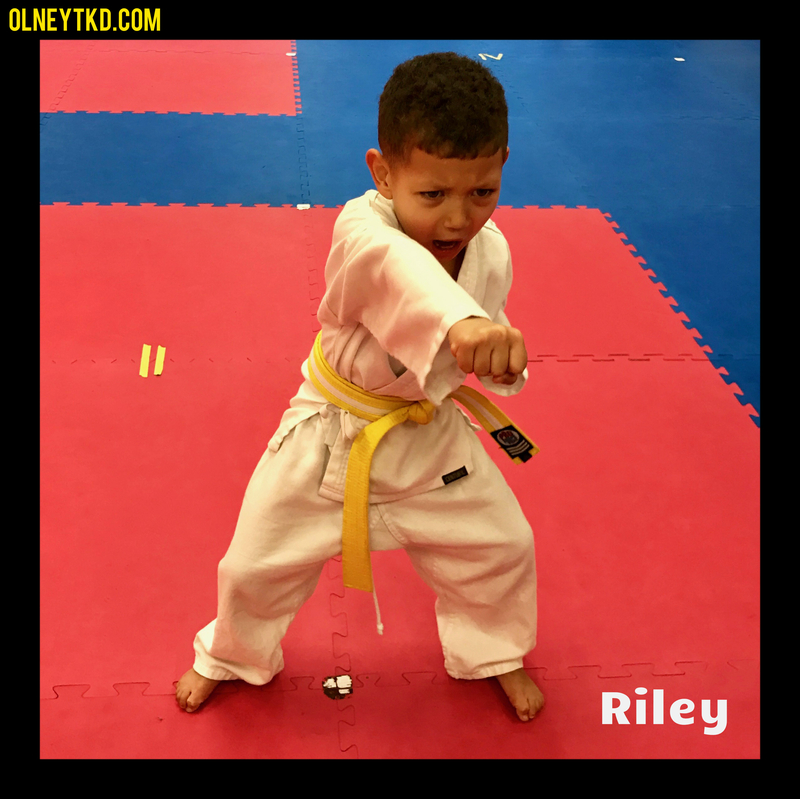 As Olney’s only dedicated martial arts training facility, OTC strives to provide quality martial arts instruction by blending traditional values with modern training techniques, offering programs in traditional taekwondo, mixed martial arts (MMA), self-defense and KickFit adult cardio. All of OTC’s instructors have met stringent instructor certification requirements and teach a standardized curriculum. 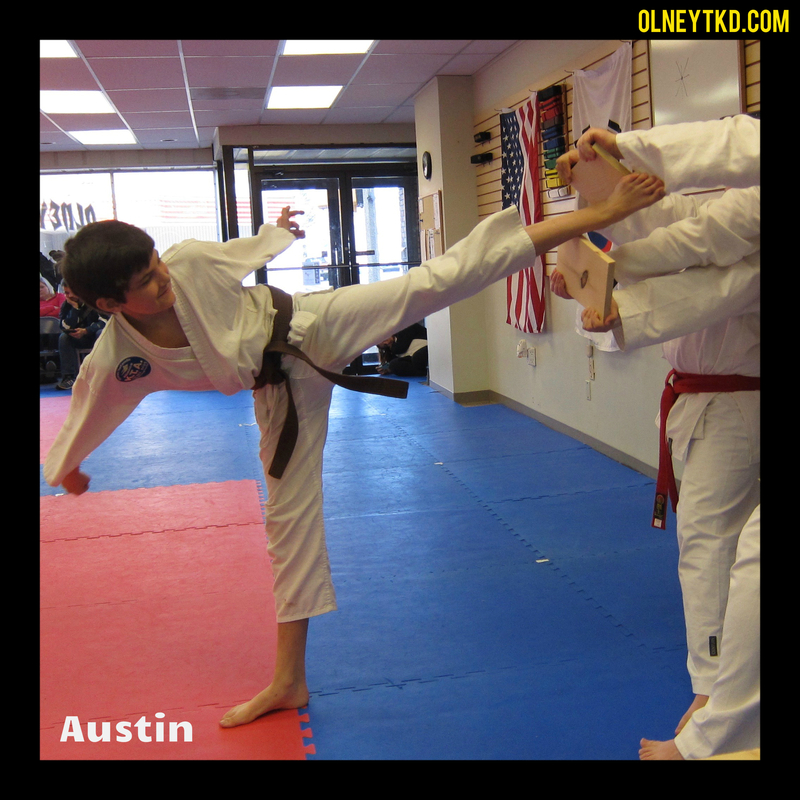 OTC is located at 233 E. Main St., across from Arcadia Cinemas, and can be reached at 392-3800 or http://OlneyTKD.com. Want to learn to defend yourself? Click here to contact us.